There are so many ways to discover Paris. No car needed (or wanted!) in Paris. Indeed, the Paris public transportation, managed by the RATP, is excellent. 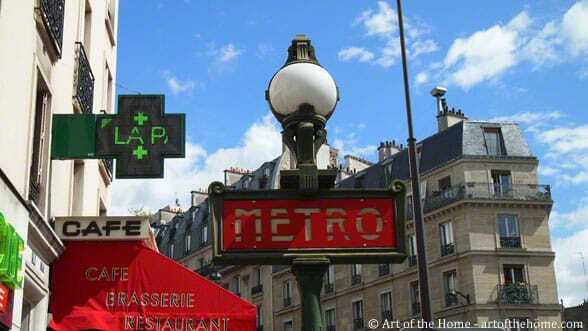 For a reasonable fee, the Paris Metro (short for Métropolitain) will take you anywhere in the City of Lights. 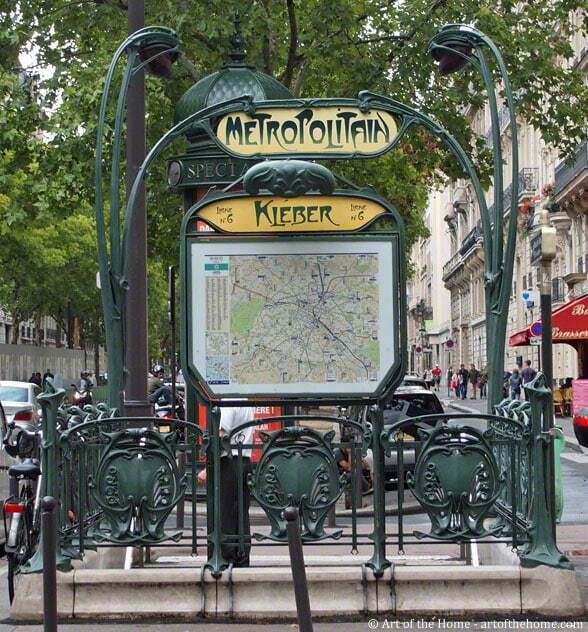 Paris Public Transporation: The first metro line opened on July 19th, 1900 and is celebrating its 111 years this summer. There are now many more lines and each metro line is identified by a specific color and number. For example, the yellow metro line M1 will take you to the Champs-Élysées and the green metro line M6 to the Eiffel Tower. Visiting Paris on a bike: Parisians use the Metro and walk a lot but some also bike in Paris. 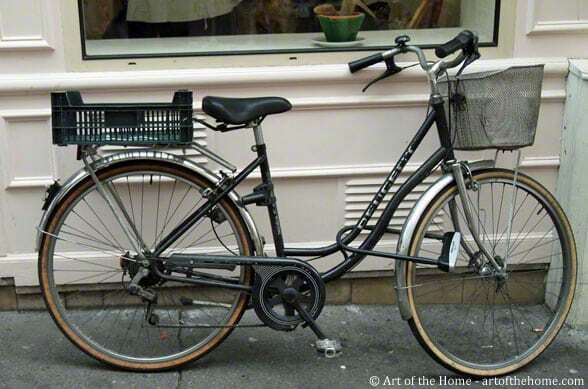 Notice the baskets in the front and the back — may be to bring back fruits, vegetables and a fresh baguette from the farmers market. 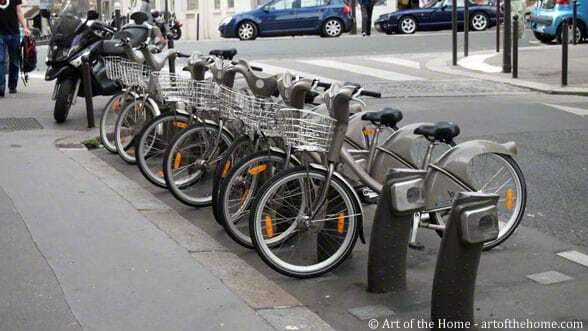 And if you feel like touring Paris on a bike, you can always rent one. Bikes are available at many street corners for rental. This service offered by the “Mairie de Paris” (Paris Town Hall) is called “Vélib’” (short for Véliberté — vélo means bike and liberté freedom). Just like for the metro, you buy tickets (1.70 euros for 24 hours but subscriptions are also available). You can pick up a bike at any Vélib’ bike station (about 1,800 stations located every 300 meters) and return it to a station close to your destination. 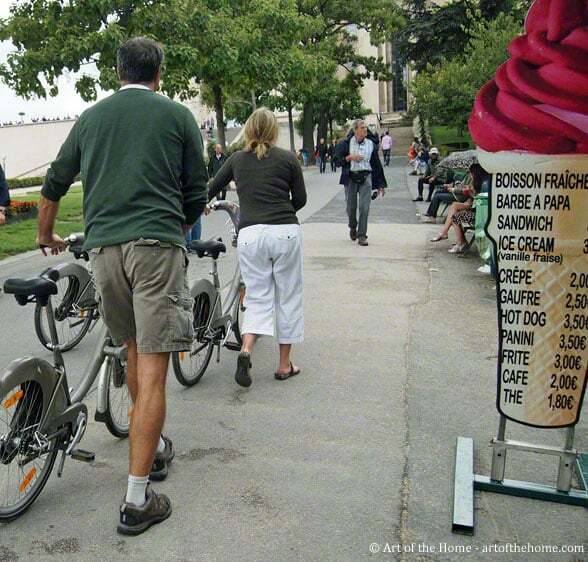 For example, we caught this family biking back from the Eiffel Tower, what great memories!